The final ruling to confirm hydroponic produce is eligibile to apply for organic certification took nearly 15 years. The decision was not made lightly, nor in haste. The final ruling took nearly 15 years and, like the ongoing Hatfield and McCoy feud, verbal shots are still firing from both sides. Technically, certifying hydroponic production has been allowed since 2002. “At the Fall 2017 meeting, the NOSB reaffirmed certification for that system,” says a USDA spokesperson. The National Organic Program (NOP), however, determines what is allowed and what is not allowed. It ruled against NOSB’s recommendation. With the 2017 decision, both bodies are finally in alignment. Shortly after the decision, protests popped up around the country. The counterview was captured in a National Public Radio report. So while the decision is made, some are hoping an appeal will overturn it. We can complain till the cows come home. Now the central question is: Will the ruling have a transformative impact on the organic vegetable industry? Or will it ultimately be labeled as ‘no big deal’? The number of certified organic hydroponic operations is still limited. Exact numbers are difficult to come by at this point, but the number is likely in the low two digits. Certification takes time and is infamous for its reams of paperwork. Numbers are likely to increase sharply over the next two to three years. Organic food sales in the U.S. already post ongoing and off-the-chart revenue increases — from about $3 billion in 1997 to nearing the $50 billion mark in 2017. It’s a four-decade jump that represents a bit over 5% of total food sales in America. “Consumers love organic. And while the market will see a steadier growth pace as it matures, it will continue to surpass the growth rate of the broader food market,” writes Laura Batcha, Executive Director of the Organic Trade Association, in her assessment of Nutrition Business Journal’s 2018 Organic Industry Survey. That January 2018 Organic Industry Survey showed produce (with fresh produce accounting for 90% of the demonstrated rise) topping the 2017 category at $16.5 billion in sales, a 5.3% growth. The U.S. is late in joining the hydroponic and aquaponic game. Greenhouse vegetables are much more common in some countries, including Europe, Canada, and Mexico. The global hydroponic vegetable market will likely double by 2025, a study by Transparency Market Research shows. It predicts lettuce will be the biggest winner, with a 33% share of the hydroponics market. The 2017 International Trade Statistics Map (ITSM) shows the value of vegetables imported into the U.S. that year was $73.9 million, with the preponderance coming from North American Free Trade Association partners Mexico ($10 million) and Canada ($6 million). “Europe is anticipated to dominate the global hydroponic vegetables market with a 41% share overall by the end of 2025,” ITSM writes. Interestingly enough, two dozen European countries, as well as Mexico, Canada, and Japan, prohibit the selling of hydroponic vegetables as ‘organic,’ meaning that producers there frequently grow for an American market. January 2021. In essence, U.S. growers will no longer be able to ship hydroponically grown and organically certified food to the EU for sale as organic. When you talk with growers and others invested in the hydroponics ruling, opinions vary on how important the ruling will ultimately be. Arizona organic growers Wholesum Harvest and California’s Driscoll berries are the two big domestic names in the industry, and both say they are already delivering what consumers expect in an organic label — produce raised affordably, year-round, and without synthetic pesticides. 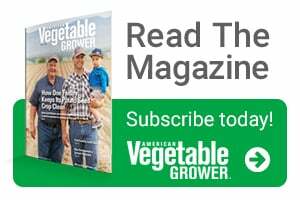 Theo Crisantes, Chief Operations Officer of Wholesum Harvest, USDA organically certified for the last 30 years, says he hasn’t seen any major shift in the organic vegetable industry as a result of the ruling. Because of the peak growing season at press time, Driscoll’s, an organic berry grower in 21 countries and a fourth-generation family business that controls roughly a third of the $6 billion U.S. berry market, wasn’t available for comment. Agricultural/Biosystems Engineer Dr. Stacy Tollefson, University of Arizona’s Controlled Environment Agriculture Center, was part of the NOSB taskforce that made the recommendation to reclassify. “I haven’t seen any real impact on the organic hydroponic industry since the certification confirmation decision was made,” she says. “It’s basically been business as usual, but with the knowledge that the threat no longer exists of losing that certification. Francis Thicke, another NOSB member, farms in Iowa and has a different take on the matter. He is also a member of the Organic Farmers Association. 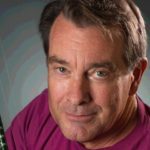 “The official allowance of organic certification of hydroponic production is having, and will continue to have, a big effect on organic vegetable production,” Thicke says. This story has some truth, but also some wrong information. The NOSB did NOT vote to affirm the principle of hydroponics in organic. That would require an actual proposal that passed by a two-thirds majority. The NOSB failed to pass the proposal clarifying how some container production would be allowed. That does not constitute an endorsement. So the standing recommendation from the NOSB states that hydroponics cannot be certified as organic. The USDA apparently doesn’t care about the NOSB recommendations, nor about the law upon which the National Organic Program rules are based. The Organic Food Production Act clearly states that organic production must be maintained upon maintaining and improving the fertility of the soil. Hydroponic production obviously does not. This vote was a critical turning point in the history of the organic movement. It will mark the turning point at which the organic seal began to lose public support. The recent rejection of the animal welfare standards by the USDA further escalate that abandonment. Of course, for the hydroponic producers, this is a small point. They have been granted entry into a very lucrative market. It is more of an issue for groups like the Organic Trade Association which traded the future growth of their many members who care about real organic for the short term benefit of a few members. One outcome of the Jacksonville meeting is the formation of the Real Organic Project, an educational group creating an add-on label to the USDA certification that will embrace the traditional values of organic farming. No hydroponics and no CAFOs. Real Organic Project is just finishing its pilot year certifying 50 plus farms around the country. We welcome farmers who want to differentiate themselves from the USDA definition of organic to the consumers who care. The phrase “Wholesum Harvest, USDA organically certified for the last 30 years” is a flat out lie. Pure myth spouted by the fauxganic hydro industry to try to justify their invasion of organic certification. 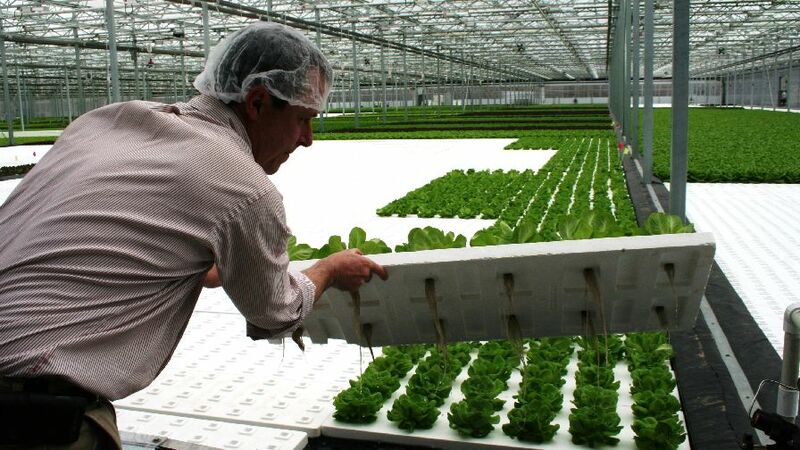 Hydroponics has never – repeat NEVER – been considered part of organic by real organic farmers. The NationalOrganic Program has been subverted. The most factually inaccurate statement in this article is the opening sentence. The failure to pass the “container proposal” in 2017 in Jacksonville means that the 2010 NOSB decision requiring soil still stands. This is an absolute travesty. There is no such thing as “organic hydroponics”. The first principles of Organic Agriculture and truth cannot be changed through legislation or any other decision making system. The capture by big money and corporates is an absolute disgrace and insult to those who have committed their lives to true organic agriculture – namely production which is soil based. I worked with internationally accredited organic certification from 2002 until 2016, including NOP certification. During that period I held the NOP in high esteem, as I had had previous exposure to the US certifiers which were the fore-runners of the NOP. But, ever since the “organic hydroponic” decision I no longer consider the NOP label to be of any worth at all. At least I can compost a pile of manure, fertilise the soil to grow genuine organic food, and in the process sequestrate atmospheric carbon, build the soil carbon sponge, rehydrate the earth and make my contribution to the reversal of climate change! That has true worth! Hydroponics does none of these! The certification which producers can achieve through the Real Organic Project is the only trustworthy certification for producers and consumers in the United States.